WordPress is already the most popular platform for website creation online, and for those concerned with the hotel world, it’s even better. For most hotels, the website may not be a priority, despite the fact it is the first stop for people looking to become customers. It would be best if you had intuitive functionality to make bookings easy. The Sailing themes offer quick and easy design options with various plugins including booking management and an events calendar. Let’s go a little more in-depth into what the Sailing themes provide. The reason why Sailing is so popular is that its a fully responsive, feature-rich WordPress theme with everything you need. The booking system even goes so far as to allowing you to regulate the presentation of rooms, their capacity, amenities, and add photo galleries. You’ll be able to set different prices or currencies for different days. Along with bookings, the Sailing reporting module is extremely in-depth allowing you to export a range of data that is also customizable. Sailing offers a luxurious design that is also easily customizable with a drag-and-drop interface giving you control over layouts, colors, fonts, and various other design elements. There are social sharing capabilities and search engine optimization included as well to ensure that once you have your site looking amazing, people can find it. Websites that are not optimized for smaller screens will see an absolute decline in their search engine rankings. Nearly 60 percent of searches online come from a mobile device which is why responsive design is so vital. The code written for the Sailing theme has been optimized for maximum performance, which means you won’t have a slow site, which is vital to successful rankings. Recently Google has shifted it’s algorithms, as previously fast-loading web pages were given preferential placement in search results. Now slow websites are penalized in search results, particularly if they are slow on mobile devices. To assist this further, the SEO optimization of the sailing theme is also top notch. The title, heading, and meta tags have been optimized to Google’s specifications with structured data coded for blog posts and WooCommerce products. Another feature of the Sailing theme is the revolution slider which can help you customize transitions, effects, and animations. It is simple to use as it is drag and drop which you can use to build posts, pages, and various other content. The Sailing theme also allows for other plugins like different visual editors if there is something else you are more comfortable with. To get you started Sailing has five pre-designed home-pages that you can use as a baseplate to then tweak to customize for your business. This is a quick and efficient way to hit the ground running when building your site. The same applies to the “About us” and “Gallery” pages with easy links to WooCommerce, to set up an online store with a one-click installer. There is also an in-built translator with RTL languages to make it easier for any international guests. The idea here is how best to get you a functioning site for your hotel quickly, without sacrificing professional design and functionality. 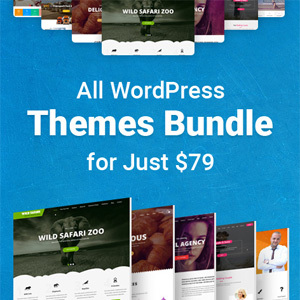 The Sailing theme features a range of content modules like video that you can really get creative with for a unique and dynamic theme. The design base is aimed at luxury with the white background and eye-Parallax effects, yet the visuals are strong, no matter which theme you opt for. Each demo has different style themes noticeable on the search availability form and various icons, but there is complete control over your customization with editable colors and fonts. The one-page design option is really where this theme shines, however, especially for those who do not have time to spare. 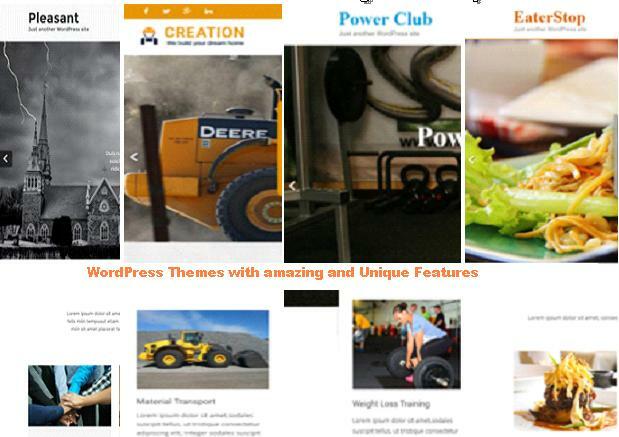 WordPress has over 65 million websites and blogs including big companies like TechCrunch and CNN. Marketers and developers love it as the platform has loads of benefits, and is free! 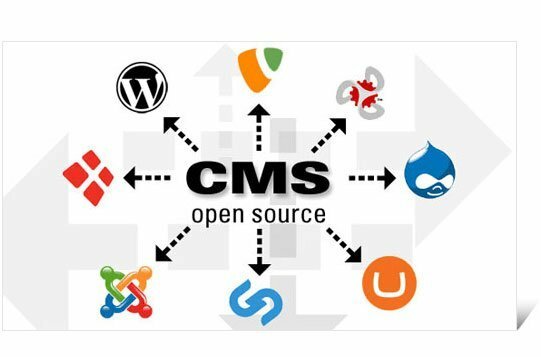 Its developers constantly expand the themes, layouts, and plugins and it is appropriate for any business, especially e-commerce. The reason why so many people turn to this particular publishing platform is the allowance for uniquely customizable consumer interfaces, great for people just starting out, or developers who know what they are doing. The Sailing theme is an excellent example of how WordPress can help get you a professional level website in a cost and time effective way. One of the most important things for your business, particularly if just starting out is good web design. It is one of the things that can get you out ahead of your competition. Design, which is both how something looks and works, reflects how you do business, and how potential customers see you. Sailing allows your site to essentially be a storefront and first contact point as well as a management system. You want to make a good impression on a potential customer, and the quality design and experience offered by Sailing will help you achieve precisely that. James Silverwood runs a digital marketing agency in Australia. In an effort to expand the agency even further he recently relocated to Riyadh and merged with another agency to provide best digital marketing services in the middle east.